The cantarito is a complex cousin of the paloma, and it is also a favorite tequila cocktail from Mexico. It gets its name from "cantaritos," which are small clay cups used to serve drinks like this at bars and cafes. This popular highball adds lemon and orange juice to the paloma mix of tequila, lime, and grapefruit soda. All this extra citrus transforms the drink into one of the most refreshing tequila cocktails around. It's a perfect summer drink, especially when you're lounging around the pool or on the beach with good friends. Rim a collins glass with salt if you like, wetting the rim with a citrus wedge. Fill the glass with ice, and add the tequila and juices. Top it off with grapefruit soda. The best cantaritos are made with fresh citrus juices. You will not regret taking the time to squeeze each fruit. For the tequila, blancos are a good choice, though some people enjoy it with the slight aging found in a reposado. There are a few grapefruit sodas out there that will work perfectly here. Jarritos Grapefruit and Squirt are most used often. Do try a cantarito made with Q Grapefruit, though, because the soda was designed specifically for cocktails like this. Some cantarito recipes split the orange juice equally with grapefruit juice while sweetening the drink with 1 ounce of agave nectar. You might find this recipe called cantarito de Amatitán. It is named after the municipality which is home to the Tequila Herradura distillery in the state of Jalisco, where the majority of tequila is produced. Other cantarito recipes simply skip the grapefruit soda. If you do want some carbonation but don't have grapefruit soda in stock, any other light soda (e.g., club soda or lemon-lime soda) will make a nice drink. The cantarito is a fabulous candidate for a big-batch cocktail. You can mix the tequila and juices up in a pitcher, store it in the refrigerator, then top your glass with soda when you're ready for a drink. How Strong Is a Cantarito? Trying to estimate the alcohol content of mixed drinks that are topped with soda is a challenge. If you pour an 80-proof tequila and have a total drink volume of 7 ounces, the cantarito will be around 9 percent ABV (18 proof). Pouring more or less soda will affect that. However, it does make a very casual drink that is just a little milder than the average glass of wine. 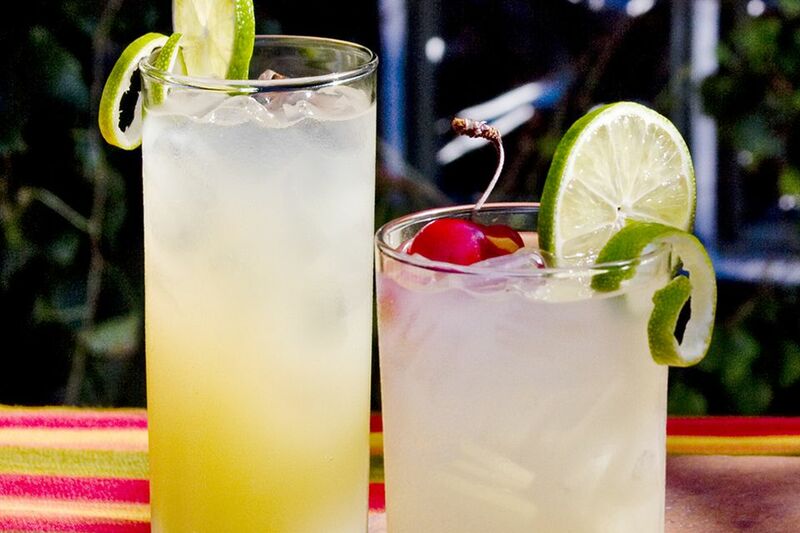 Go ahead, enjoy a couple for happy hour! Drink This and You Get to Say "Freddy Fuddpucker"